We're writing to let you know that Meme will be closing its doors at 55 Norfolk St in Cambridge at the end of May. The last two years have been really exciting for us. We've programmed 200 international, national, and regional artists in 100 exhibitions, performances, and events. Shows at Meme have been covered in print, web, and video in a diverse array of publications, suggesting that we struck a chord with a variety of audiences. Cities like Cambridge and Boston have programs designed to reach everyday citizens through public art and community art. They put money toward this effort, have meetings about it, and write guidelines for implementing these programs. What often gets in the way of these admirable efforts is a bureaucratic over-thinking of what the public wants and gets out of art and other creative enterprises. 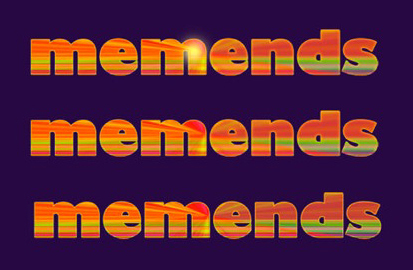 We at Meme discovered that if you run a space guided by your own vision and enthusiasm, people will find enjoyment or connection in unexpected places. It was never our focus to make art for the local community. We put on shows that we wanted to see and people responded, in particular, folks from our local neighborhood in Central Square. Curatorially, we didn't always know what to expect from the artists we invited to Meme. Our mission has been to provide a space for the creation of new work. We encouraged our artists to pursue new ideas and to give consideration to the space at 55 Norfolk in this pursuit. Thus, on any given week, passersby had the opportunity to experience something that grew out of another person's creative soul. Not something designed for the marketplace nor arrived at by bureaucratic consensus, but art in a more basic sense. Art born out of the freedom of trust. Trust is a risk, but is also an invitation to create without external limitations. Our artists accepted this invitation wholeheartedly and never failed to amaze us. If you were not aware, Meme has been primarily a self-funded project sustained out-of-pocket and managed during those hours between work and sleep. As working artists pursuing the scheduling at Meme and our day jobs, we have had little time for much else. First as a team of six people, then as a team of three, Meme has been a challenge both in terms of time and money. We have no complaints doing it this way, but the fact is, this model for an art space is unsustainable. Meme is not a good model for a sustainable art space, however we never intended it to be anything more than what it was for us - the embodiment of the art and ideas that we wanted to see in Boston. We didn't expect to fall in love with the space at 55 Norfolk nor the neighborhood surrounding it, nor did we realize how awesome it was going to be that we would have this ever-expanding community of people coming to Meme to check things out and chat. We will miss what we've had, but look forward to new things. Again, a huge thank you to all of the artists who have presented work at Meme, and to everyone who has supported us and witnessed the various goings-on at Meme. We still have some great shows coming up including Maria Molteni (currently on view), Andrew Neumann, John G. Boehme (Vancouver), Alice Vogler, and two nights of New York performance artists. Don't miss any of it! Lastly, we invite you to join us on May 21st for a get together at Meme – filled with performance, sound, video, food, and friends. Thanks for all the memes!